A former Anchorage bar bouncer was sentenced Tuesday to 20 years in prison for his role in a drug ring that distributed methamphetamine and other drugs in Southcentral Alaska, according to the U.S. attorney's office in Anchorage. Murville L. Lampkin, 45 and once the bouncer at the former Rumrunners Old Towne Bar and Grill, was sentenced on charges that included conspiracy to distribute methamphetamine and heroin, and money laundering. Lampkin was found guilty in 2016 in a trial before U.S. District Judge Sharon Gleason. Lampkin was part of a conspiracy led by Toa Danh "Tony" Ly that in 2014 began distributing marijuana and methamphetamine, and later heroin, in Anchorage, the Mat-Su and the Kenai Peninsula, the agency said in a statement Thursday. Lampkin deposited $57,000 from the drug sales into Wells Fargo bank accounts controlled by Ly, the statement said. Executing search warrants in 2015, investigators "found 400 grams of methamphetamine packaged into 15 individual Ziploc baggies" in a locked safe at the foot of Lampkin's bed, the statement said. "Also in the safe were smaller baggies into which doses of drugs could be packaged, and a digital scale used to measure drug quantities." 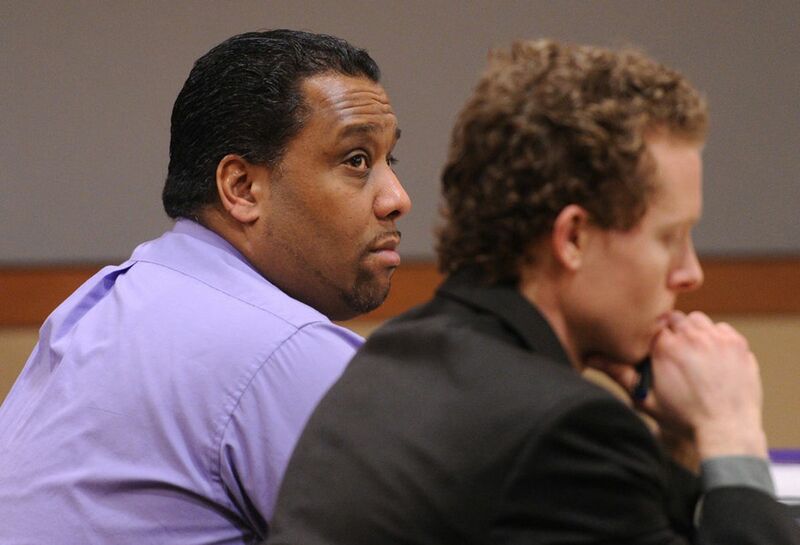 The drug conviction is Lampkin's third, the agency said. – Ly, sentenced in December 2016 to five years in prison, for conspiracy to distribute controlled substances, and money laundering conspiracy. – Renee Marie Davis, sentenced in January 2016 to six years in prison, for conspiracy to distribute controlled substances. – Adam Michael Cornelison, sentenced in February 2016 to five years in prison for using a firearm in a drug-trafficking offense.